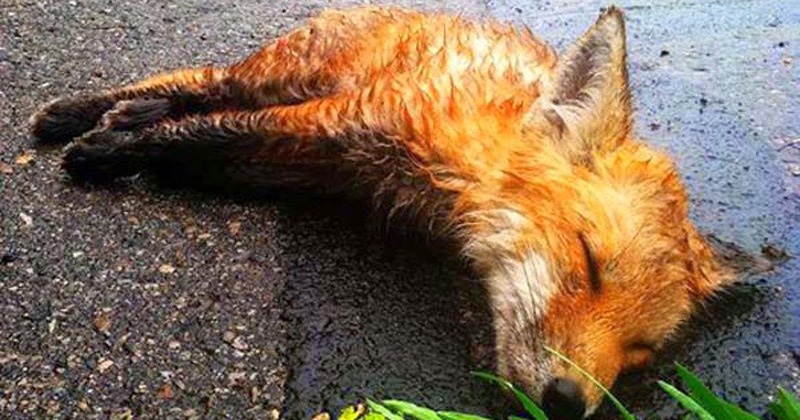 “This morning on my bike ride into town I came upon this fox that had just been hit by a car. His eyes were slowy opening and closing, he was shaking out of control and his heart was beating out of his chest. But then...8 hours later...the man returned and the incredible happened. 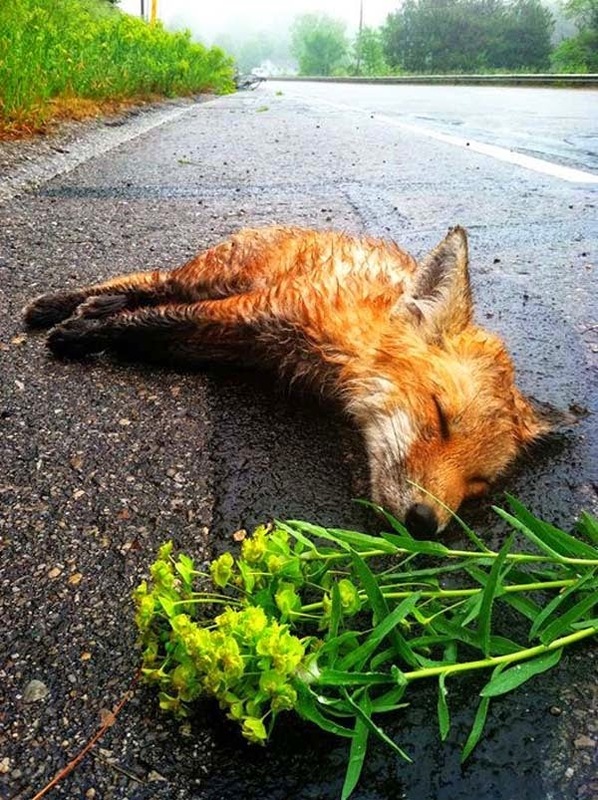 The fox was still alive! 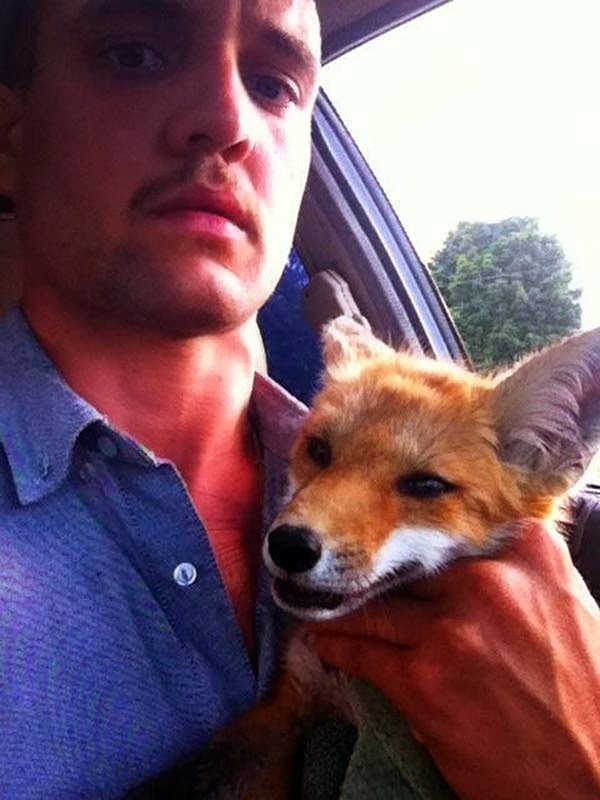 Somehow the fox had found the strength to keep going, and so the man scooped him up to take him to the closest veterinary hospital. There the fox is recovering and the rest of his story remains to be told! Share this animal's unbelievable story of perseverance and love!